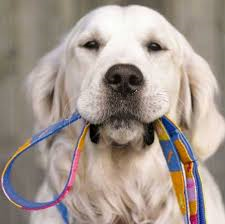 Walkers wanting to get out into the open countryside in Denbighshire are being reminded to keep their dogs on leads. Denbighshire Countryside Service and the Clwydian Range and Dee Valley Area of Outstanding Natural Beauty have joined forces to launch a campaign called Take the Lead, encouraging people to keep their animals on lead in the county’s open countryside. The Take the Lead campaign is now in its second year and was launched at Easter. The campaign is targeting local residents and visitors to the countryside and wants to build on the success of last year’s initiative. The campaign includes the production of videos that will be shared on social media, as well as features in the local media and online. Councillor Tony Thomas, Cabinet Lead Member for Housing, Regulation and the Environment, said: “The decent weather we have been experiencing is making more people think about getting out into the open countryside to enjoy the views. “That is great, but we are asking walkers, if they take their dogs, to keep their animals on the lead in the open countryside. This is part of an effort to try and reduce the number of livestock being injured and wildlife being disturbed by dogs. “Last year’s campaign was very successful and the majority of people do act responsible. We want that to continue and we thank people for their efforts and understanding. “However this is a kind of message that needs to be repeated time and time again to gain its maximum impact, so we will be sharing our campaign messages with locals and visitors and encourage the small minority who flout the law to take action. “We have seen some incidents where sheep have been injured or killed as a result of attacks from dogs off their leads. This is what we need to avoid and by working together with dog owners, we can really make a difference”. “They really must be mindful that they are crossing valuable grazing land where there are sheep roaming. The effects of attacks on animals can be devastating, to the animal and to the landowner. The campaign will continue throughout the summer and wardens will be out and about monitoring sites.